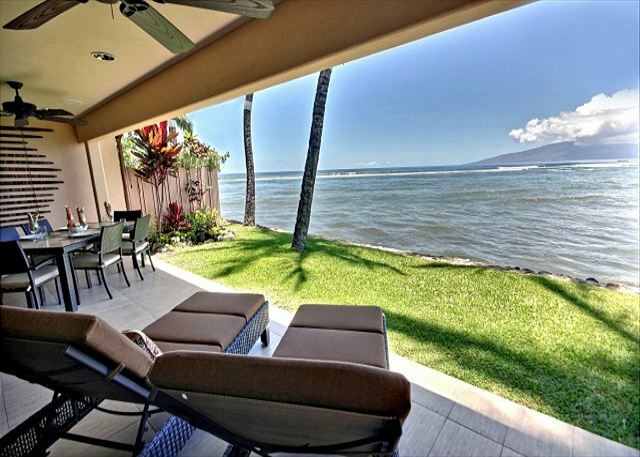 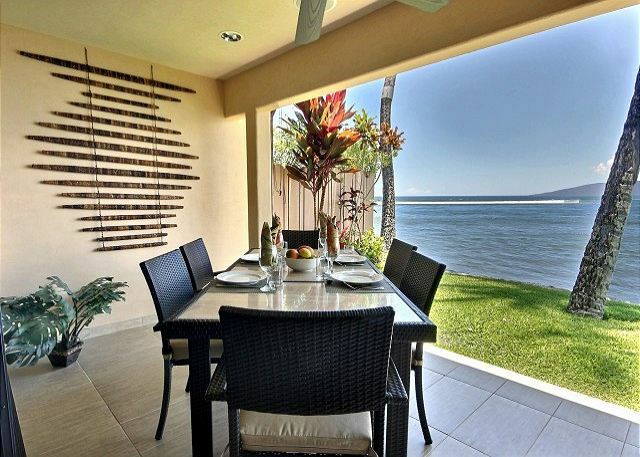 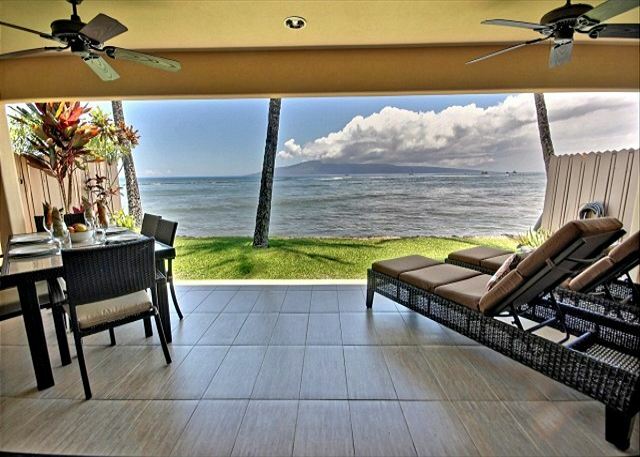 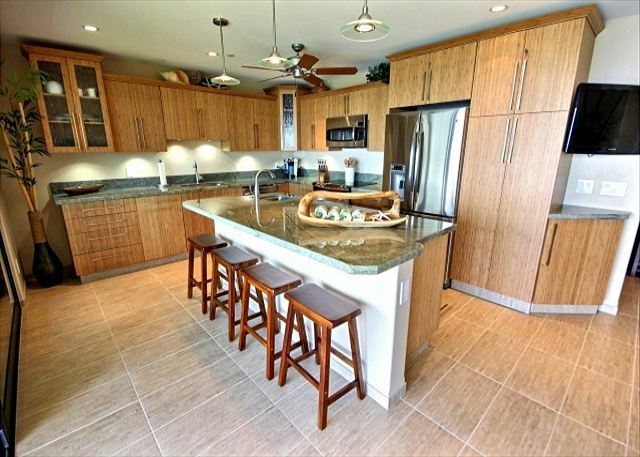 225-2 is a 3 bedroom, 3.5 bath oceanfront unit in a very private setting in Puamana. 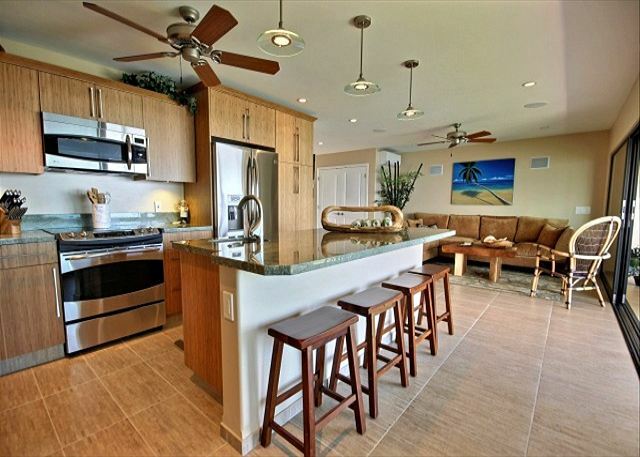 This brand new unit is perfect for the discerning traveler looking for a quiet retreat. 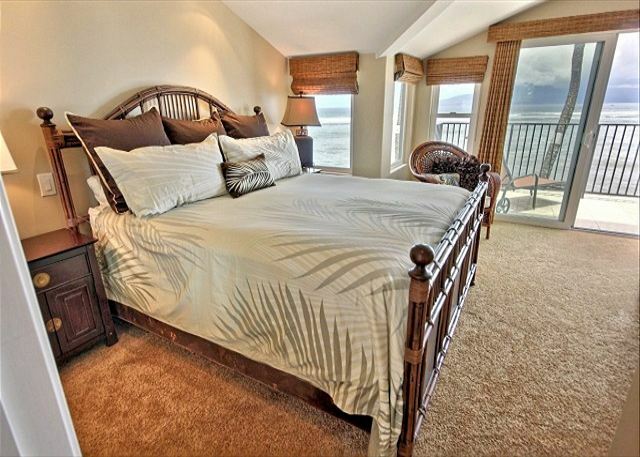 It is located on the north end of the property, away from the hustle and bustle! 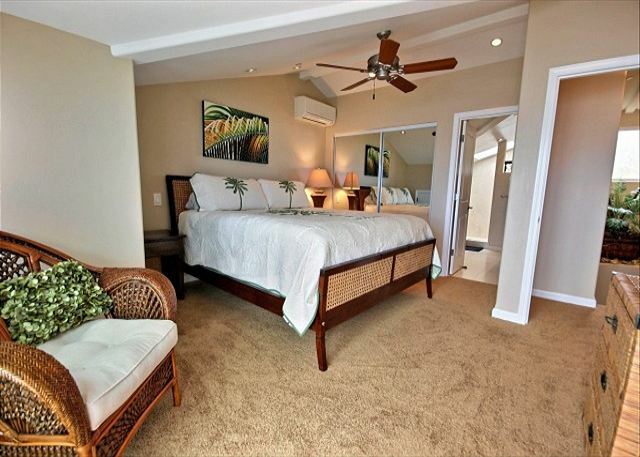 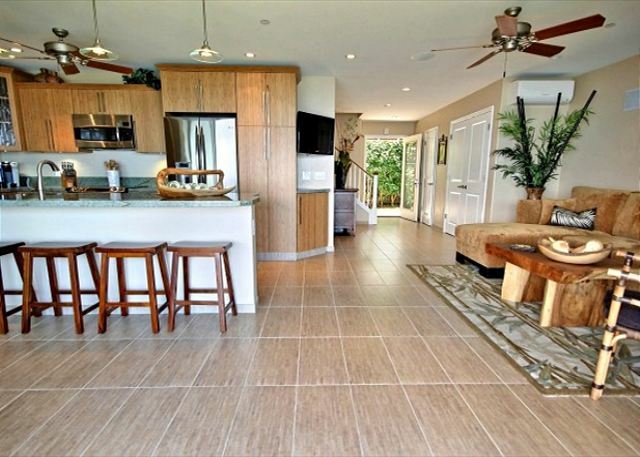 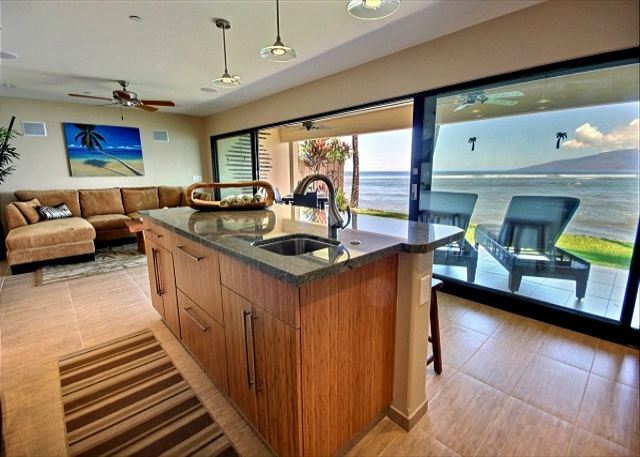 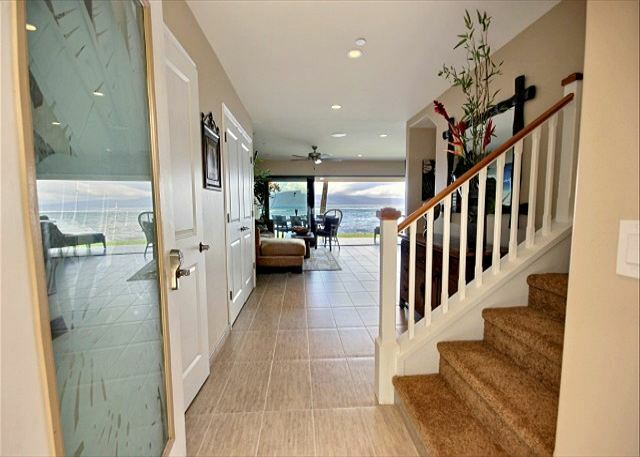 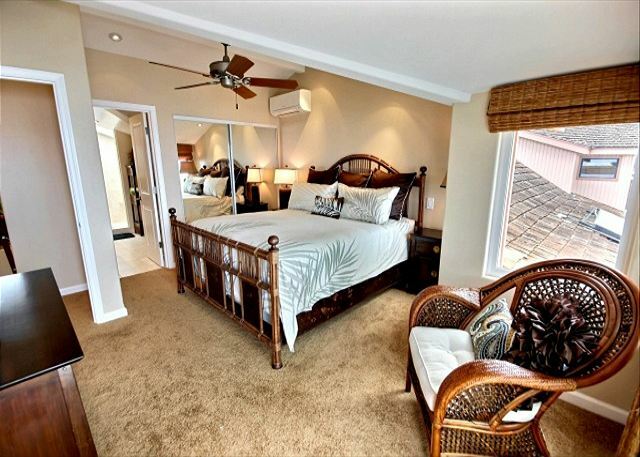 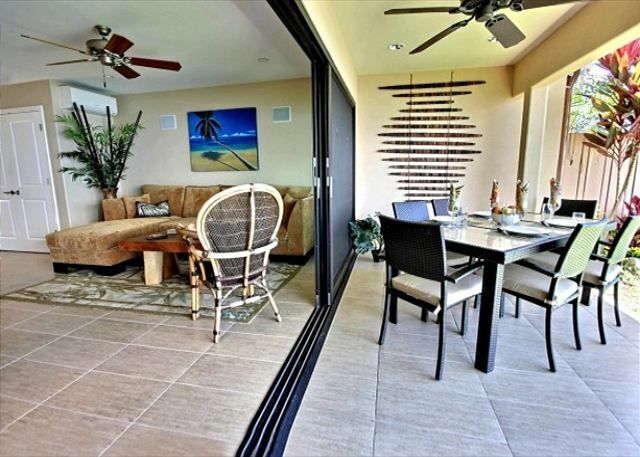 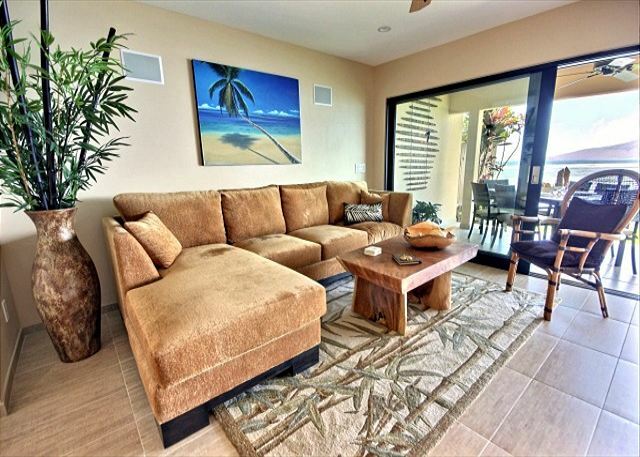 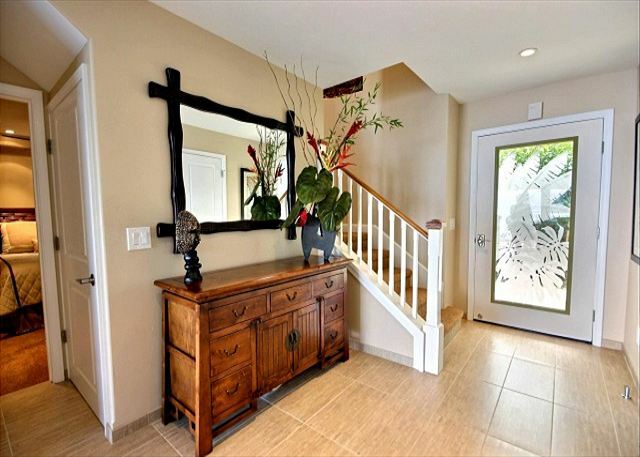 There are two master bedrooms upstairs each with a king size bed and a private bath and lanai access. 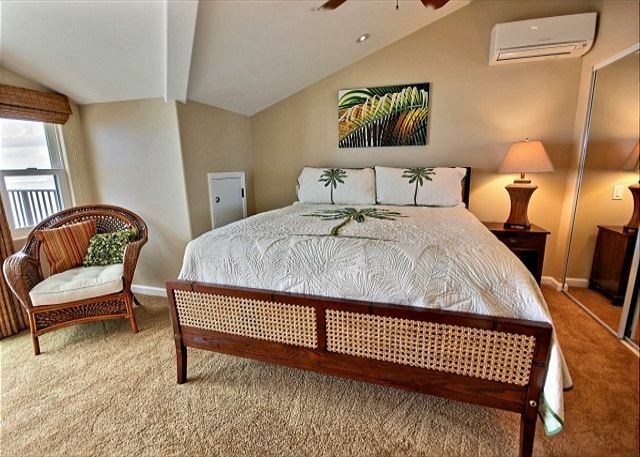 The downstairs bedroom has a queen size bed and also has a private bath. 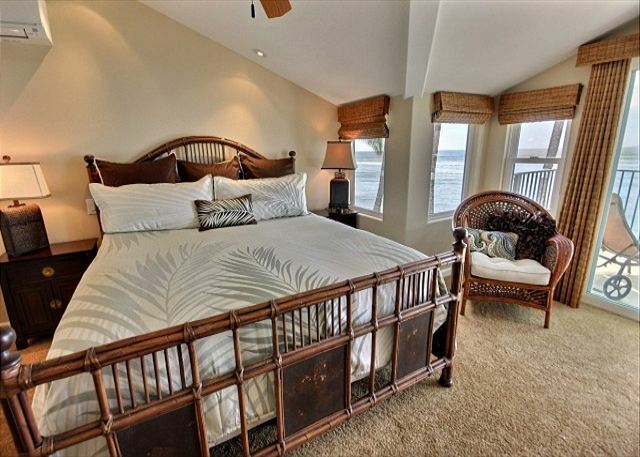 Each bedroom has AC and a flat screen TV. 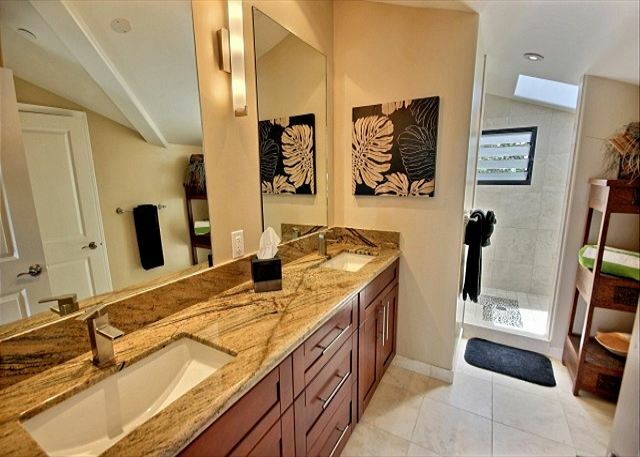 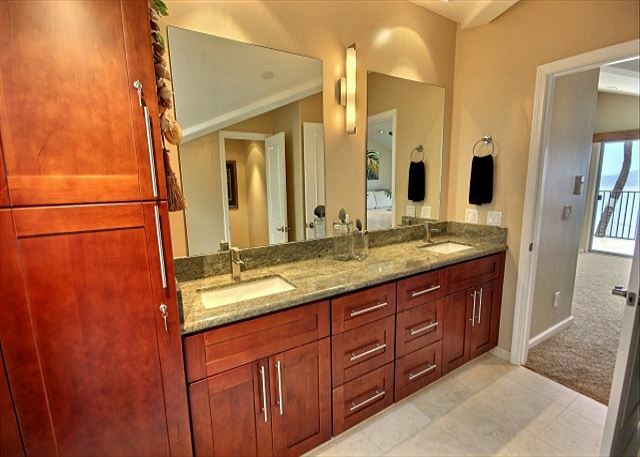 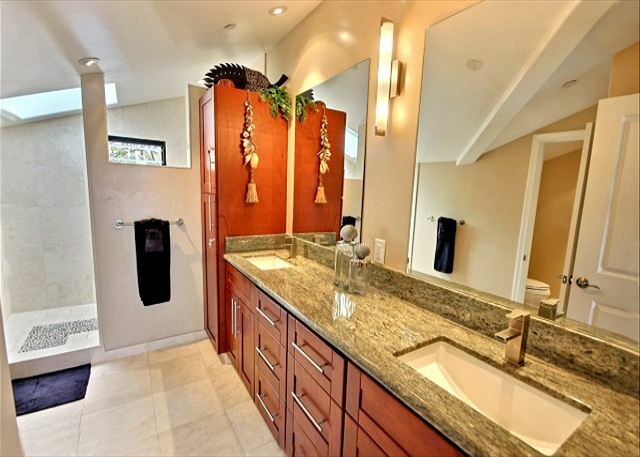 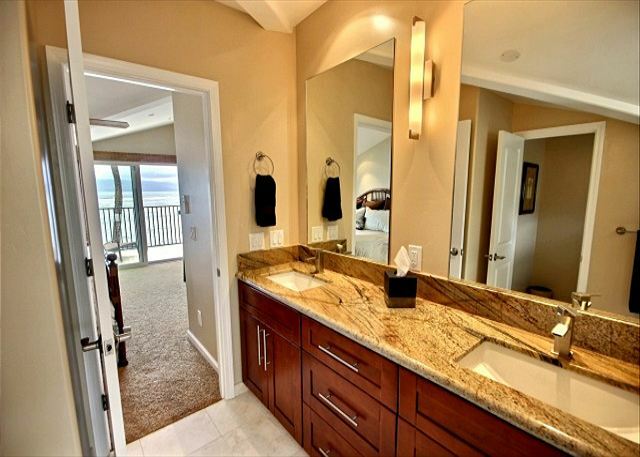 The bathrooms feature travertine floors and showers and granite countertops.